Hearthstone Lodge: 3 bed / 2 bath. Sleeps 8. Hearthstone lodge - the name itself conjures up images of comfort, warmth, and companionship. That is exactly what you will find inside the welcoming walls of this cabin. Outfitted with all the normal comforts of home; this luxury vacation cabin has everything you need for a truly memorable vacation escape! This newly constructed cabin is focused on family fun. The open living / kitchen allows the whole family to spend time together in front of the fireplace, watching movies and games, all while preparing dinner in a modern, ready to cook kitchen. But remember, getting away to Beaver’s Bend and Kiamichi Country isn’t just about comfortable couches and big screen TVs – it is about getting outside and enjoying the beauty of the nearby lake and rivers. Hearthstone Lodge has a large circle drive for those guests wanting to bring their boats and ATVs. It is also close to all the kayaking, fishing, hiking & horseback riding that you love. 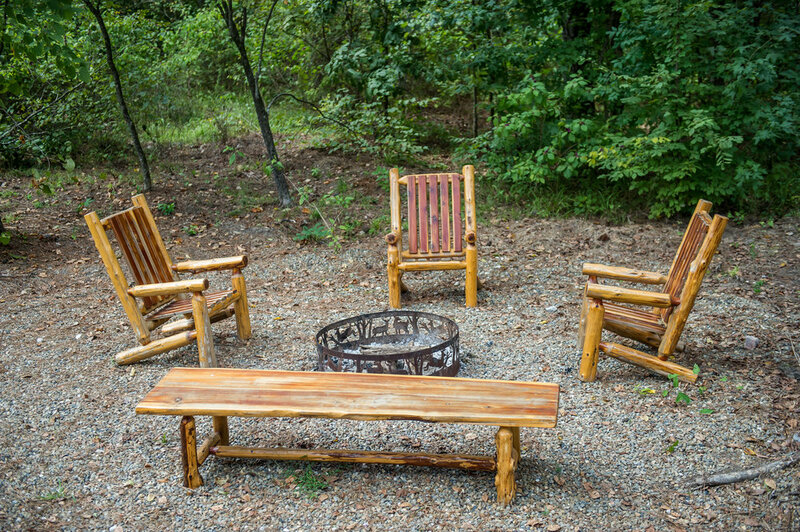 Whether you spend your days at the cabin or exploring Hochatown, we know you will spend your evenings hanging out on the deck, in the hot tub, or catching up around the outdoor fireplace or the fire pit. When the evening is done, you’ll enjoy having comfortable beds to fall asleep in; 1 king, 1 queen, 2 twins, & a queen size pullout.